Losing a loved one is often one of the hardest things we have to do, and it never seems to get any easier as we get older. It is something that will affect all of us throughout our lives and can be one of the most painful emotional experiences you ever have to go through. As individuals we all process death in an entirely different way, and our reactions to death can also be very different to those also suffering around us, making it difficult to know what to do, how to help or even how to control your own emotions when the worst does happen. Knowing how you will react if you haven’t lost someone before is impossible, and whilst you might think you will be able to deal with things in a particular way, oftentimes people are surprised by their own reactions and emotions when they lose someone close to them for the first time. 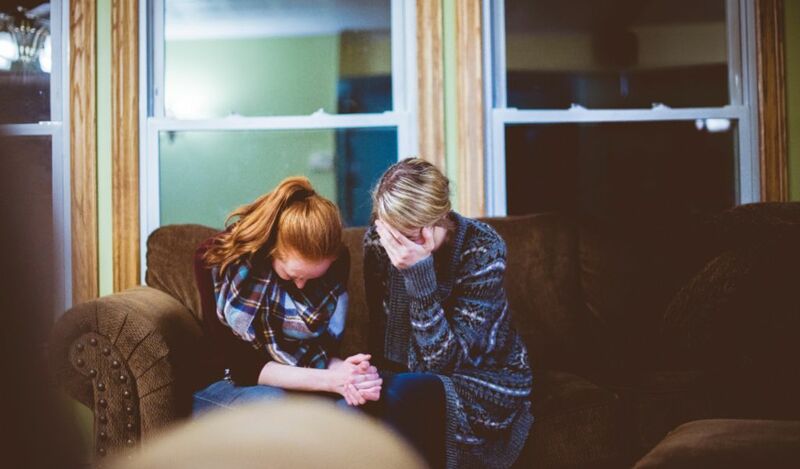 The way you are personally affected by grief can depend on a large number of different things – from your religion to your upbringing and your age to your current mental health state, making it impossible for anyone to know what is the best way to deal with grief. After the loss of a loved one – particularly someone you shared your home with or someone you saw or spoke to on a daily basis – getting back to “normal” can take time, however there are a number of different things you can try to help make that process a little easier or quicker. 1. Talk it out – often we can feel embarrassed about our emotions, however throughout the grieving process being able to speak about how you’re feeling and what you’re experiencing – even if it is just with a friend or family member – can make a huge difference in soothing difficult emotions. 2. Don’t forget to eat – eating is often the last thing on our minds when we lose someone close to us, however three meals a day can bring a little normality back into your life when it feels like it might not be the same again. Trying to stick to a balanced diet and eating regularly can be extremely beneficial to your mental health. 3. Try to get a full night’s sleep – when you lose someone you love, particularly a partner, the night times can the hardest. However, even a few nights without sleep can have a detrimental effect on both your mental and physical help. If you’re having difficulty sleeping after the loss of a loved one, speak to your doctor. 4. Stick to a routine as much as possible – as soon as you can try to get back into your routine – walk the dogs, go to the gym, visit the supermarket. Getting back to “normal” can be the best way to get back on track. 5. Steer clear of drinking – when you feel emotional pain it can be all too easy to reach for something to numb the pain, however drugs and alcohol only provide a temporary relief that can cause your emotions to be even stronger when the effects wear off. Most importantly, when you lose someone you love it is important to remember you’re allowed to feel sad and upset, in fact it is a healthy part of most people’s grieving process. However, if after a few weeks or months you still find yourself experiencing extreme emotions of sadness or distress, it might be time to seek the assistance of a professional or to begin bereavement counselling. CBT is one of the most popular types of therapy for both those seeking help and those offering it. It is a talking based therapy that explores the way you react to the world around you, helping you to develop different ways to cope with your emotions and reactions. A typical course of CBT lasts 16 weeks with most people participating in an hour of therapy every week, alongside different “homework” tasks to be done between sessions. Like CBT, CAT is a talking therapy that lasts 16 weeks. The therapy focuses on the way you think, feel and act whilst working together to understand the origins of the distress, and how the difficulties you experience with the way you think, feel and react may occur due to the way you have learned to cope. ACT stems from CBT and was developed to help you achieve a fulfilled and meaningful life whilst accepting the pain that occurs throughout our lives. ACT focuses on accepting that you cannot change the things outside of your personal control, and learning to enjoy life despite that. If you find that none of the above therapies seem right for you, psychodynamic therapy and dynamic interpersonal therapy are both also extremely effective throughout the bereavement and grieving process. Learn more about both types of therapy on our website. If you have lost someone close to you and you’re struggling to get back to normal after your loss, bereavement therapy could help you find the tools to cope with your emotions. My Online Therapy offers a range of different professional therapy services to help with a number of different mental health issues, including bereavement therapy, which can be accessed through our new app. Our interactive therapy platform offers a unique and discreet way to access different therapies from the comfort of where works for you, without disrupting your schedule or long waiting times to speak with a professional.